Build lines – Build lines are inevitable in 3D printing, but sometimes they are especially pronounced. Color shifts – When the print heads are not properly aligned and calibrated by the software, they deposit the ink droplets in the wrong spots which affects the blending of the colors. 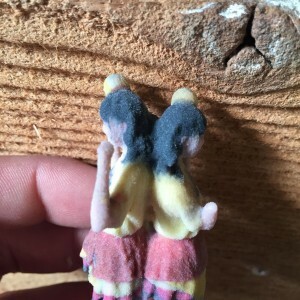 This creates models where one side of the model is too much of one color and the other side is too much of another. Weak build lines – The cause of this problem is still largely a mystery to us, but the result is an especially brittle model. Dirty print heads – The printheads skim fractions of a millimeter above the surface of the powder. 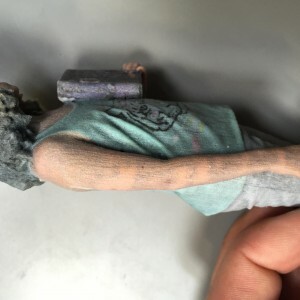 The powder and surrounding colors can easily become attached to the print head and cause any number of color problems in the final print in the form of spot discolorations. Whiting – The cause of this problem is a mystery to everyone we have met that operates the 3D printer, including 3D Systems themselves. 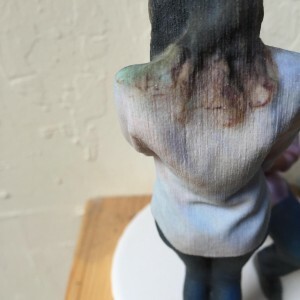 A model that suffers from whiting usually has one especially white side almost as if an excess of powder accumulated on the edge of the print. Build gaps/divots – For the proper operation of the printer, every new layer of powder that gets deposited has to be perfectly smooth. If the powder has absorbed any ambient moisture, microscopic globules form that prevent the powder from spreading perfectly evenly that gives the impression of small divots forming in the surface of the print. When these divots intersect with parts of the model, the surface quality of the model at these parts gets ruined. Build gaps/divots can also form with improper calibration and if powder builds up on components of the printer. Speckling – Speckling is not a printer problem but a post processing problem. 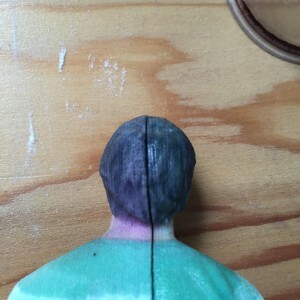 When a model has received too little cyanoacrylate the cyanoacrylate moves towards the center of the model and away from the surface leaving a white “speckled” look to it as if it is dirty. 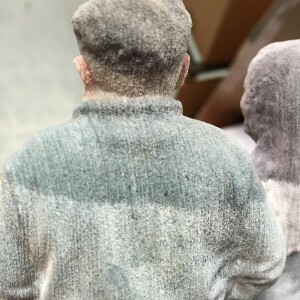 Shininess – Shininess is not a printer problem but a post processing problem that occurs when too much cyanoacrylate has been applied, leaving parts of the surface with a sheen.